Amanda had been a patient of Tutbury Dental for many years and was looking to improve her smile. Orthodontic braces were the ideal option to improve the appearance of her teeth, but she was not keen on braces. When Amanda heard about the Course, she was excited about the alternative approach of giving her a winning smile. Amanda’s main concerns were the protruding UL1, the narrow smile and also larger embrasures between her teeth. Joanna did mock ups before the Course and the patient was happy with this. Amanda was aware that the UL1 would require more aggressive tooth preparation for an ideal end result. A stent and a putty index were used as per Galip Gurel’s preparation technique. Lasering was required for certain teeth to improve the gingival outlines. 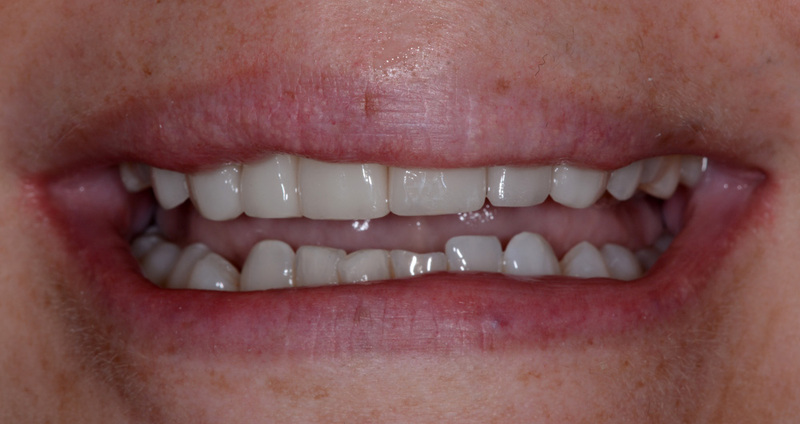 Eight upper teeth were treated in the smile makeover. Amanda was happy with the new wider, whiter and straighter smile she received. Joanna also did an amazing job, in what was also a challenging case. 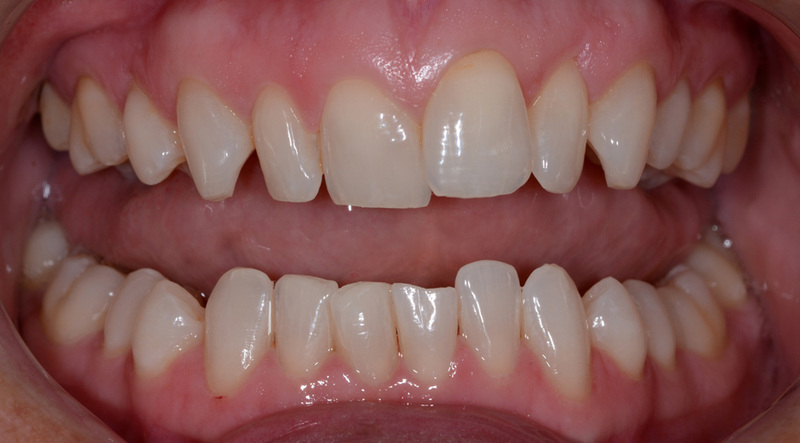 This case illustrated that for some patients, orthodontic treatment is definitely not an option. The patient is then left with a choice – accept a compromised smile for the long-term, or do something about it.